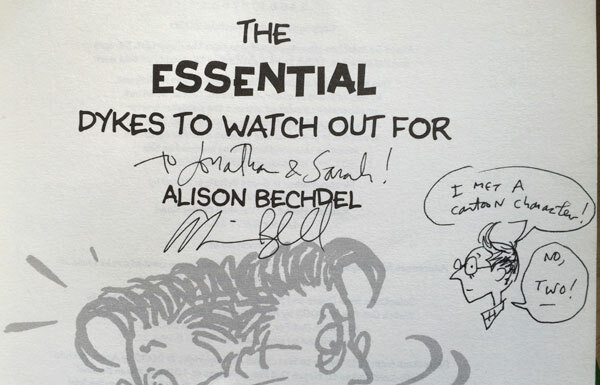 The latest Metro Magazine comic is out now, so I can show you my one from last month – the comic that I pressed on Alison Bechdel when she came to town. Here is a sneak preview of the new Metro comic – this time I’m grappling with neighbourhood inequality and crazy Auckland house prices. 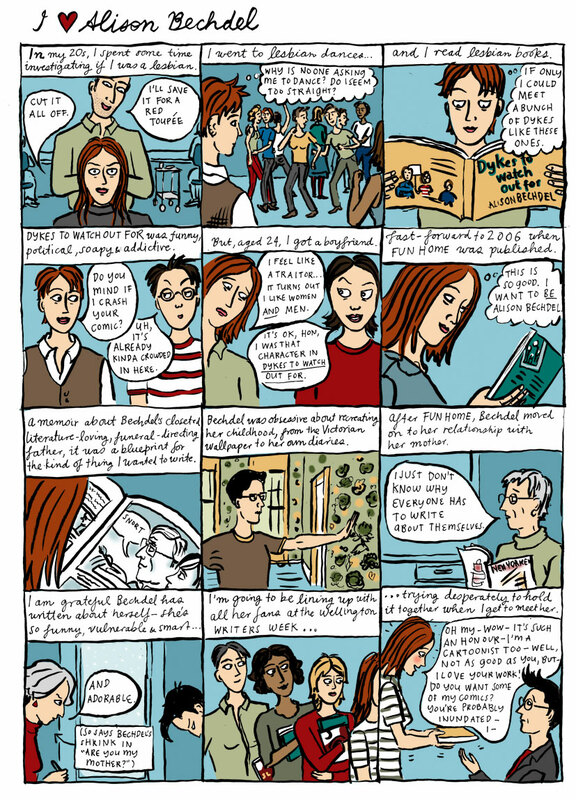 I feel bad that I’m not drawing any new comics for my blog but I’m crazily busy trying to get my Katherine Mansfield book into shape. If only I could clone myself so I could get armies of me working on all my projects. Maybe I should just get up earlier in the morning. Sigh. ← Let Me Be Frank #5 coming! I also wish there were armies of you! Those would be some really life-affirming armies.